How does a Dialler work? A hosted dialler is an advanced telecommunications system for telephoning customers. You might see it described as a “dialler”, “hosted dialler”, “predictive dialler”. A hosted dialler differs from a normal telephone system because it enables a company to make calls at much higher volumes than is possible with a standard telephony. It is, therefore, most suitable for companies that have a dedicated outbound contact centre. And because the number of calls that can be made is so much higher, the effectiveness of call centre agents can be vastly improved. A dialler can be “on premise” which means that it is a piece of hardware purchased and owned by the company or it can be accessed as a hosted service. A hosted dialler is operated via the cloud using a remote server and usually administered by a specialist company. From the company's point of view, all that is needed to start using a hosted dialler is some training and a reliable internet connection. 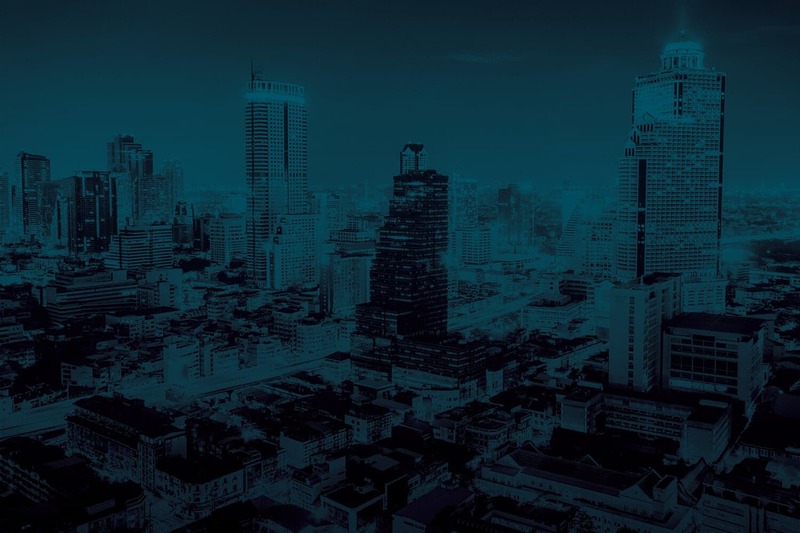 Advanced diallers have facilities to manage inbound and blended traffic, which allows calls to be routed to agents via sets of rules that can be structured by the dialler manager. High quality hosted diallers have a number of ways to make calls on behalf of agents. This allows flexibility in the pace of dialling. You will have a number of customers or leads that you wish to contact. 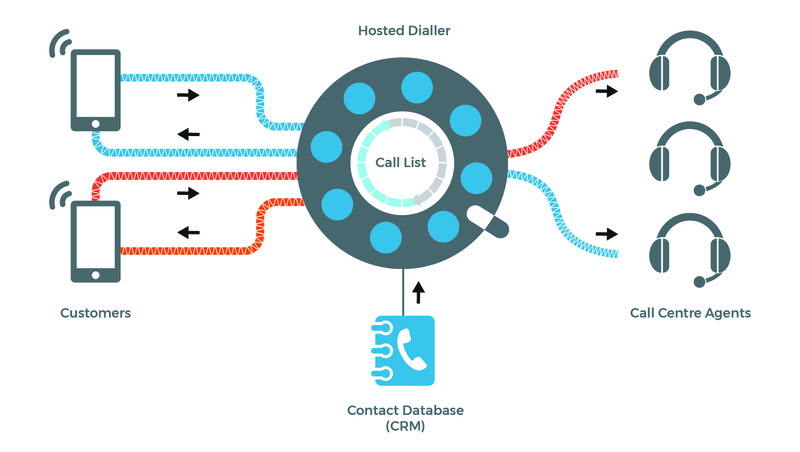 This could be in the form of a list which is loaded into the dialler software or by connecting the dialler to a CRM or other company system that contains customer details. The dialler will automatically call the numbers on the list. It can call many numbers at one time. The dialler “mode” can be adjusted to call larger or smaller numbers of contacts. (see more details on dialler modes in the section below). When the call is answered, the dialler will route the call to the contact centre team, selecting an agent who is available to receive the call. The dialler will record statistics of the call and keep a recording of the conversation for training, compliance and administration purposes. A high quality dialler will allow the contact centre manager to control how the dialler calls and the pace of dialling. Your agents set the pace of calling using simple manual preview dialling (or “click to dial”). In this mode, agents can preview contacts before clicking an on-screen button to dial. Preview dialling is ideal for focused calling on small, high-quality lists, follow-ups, and calls to existing customers, meaning agents can focus on selling rather than manually dialling numbers. As an automated method, progressive dialling mode is quick and easy. Agents can set the "pace" of dialling, (for example, two numbers dialled for each agent). Progressive mode is ideal for larger lists and allows call centre administrators to control the pace of calling and productivity of the agents. As a result, agents only spend their time on connected calls, not busy tones or disconnected numbers. Predictive mode gives you an intelligent dialler that takes efficiency to another level. The dialler can predict when agents will become available and start making outbound calls in preparation. This leaves little or no downtime between calls, which means higher talk time of up to 50 minutes in the hour depending on data quality. It also provides deep list penetration to deliver the best possible results on poor or stale lists. One of the issues for contact centres is to be able to find a call recording where necessary. Better quality diallers provide a call recording search facility which greatly speeds up the process of finding and reviewing the contents of these recordings. Many potential contacts have added their numbers to the TPS list. Companies need to ensure that they respect their privacy. The dialler is able to instantly check that a telephone number is not on the TPS list. This means that you will avoid complaints from recipients about your call. Given that protecting people's privacy is increasingly important, a dialler with TPS checking ensures that your contact centre is both efficient and compliant. The best Diallers also offer the ability to accept inbound calls or blended traffic (both outbound and inbound calls). Skills Based routing enables the call to be routed to the agent that is most effective or appropriately qualified to deal with the call. Set up call priorities for VIP customers: identify your most important customers and ensure that they are routed quickly to an agent. Allow agents to be brought into a call queue when there are high volumes.